Glasgow Airport was officially crowned UK Airport of Year at the 2015 National Transport Awards which were held at the Westminster Park Plaza Hotel, London on Thursday 8 October. The airport was recognised for its continued efforts in growing passenger numbers, securing new routes and its commitment to customer service. In 2015 alone, Glasgow Airport has secured 26 new routes and services including direct flights to Halifax, Nova Scotia; Budapest, Prague and Las Vegas. It has also recorded double digit growth in passenger numbers every month since November 2014. The award follows Glasgow’s success at claiming the title of Scottish Airport of the Year in June 2015 and the judges noted the airport’s continued investment. Over the course of the past 18 months, Glasgow has invested over £25 million in terminal redevelopment works. This included a major refurbishment of international arrivals and the £3.5M extension of its east pier, allowing the airport to accommodate an additional 750,000 passengers per year. Amanda McMillan, managing director of Glasgow Airport, said: “To have been named both Scottish and UK Airport of the Year is a tremendous honour and it is an achievement the 5,000 people who work at Glasgow Airport can be proud of. Supported by the Department for Transport and Passenger Focus, the National Transport Awards are now in their 15th year and recognise those who have contributed to the successful development of the UK’s transport infrastructure. Airport trade body, ACI Europe confirmed Glasgow Airport was one of Europe’s fastest growing airports during the first six months of 2015. It also confirmed that Glasgow Airport was the third fastest growing airport in its category during June and July 2015 and fourth fastest in August. 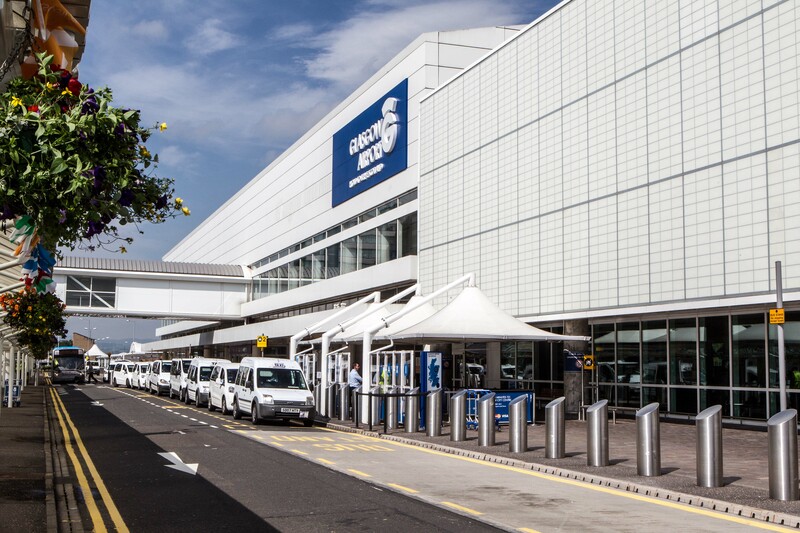 ACI Europe categorises airports based on passenger numbers with Glasgow Airport falling into group three – airports welcoming between 5 and 10 million passengers. WW1 Drama The Box, Comes to Paisley Arts Centre Paisley Scout Leader named as Deputy Lord Lieutenant.